The following Arduino models have a tight integration with Embrio. Compiling and uploading is done very fast and provides feedback via the visual connection control. Upload a program to your board using the Arduino IDE, like the Blink example program. Close the Arduino IDE. This is important as it saves the application settings. In the Embrio connection toolbar select the “Use Arduino IDE Settings” checkbox. Now when uploading to the Arduino Embrio will call the Arduino IDE and tell it to use the last settings it used. This method takes a bit longer but should work with any Arduino compatible device. 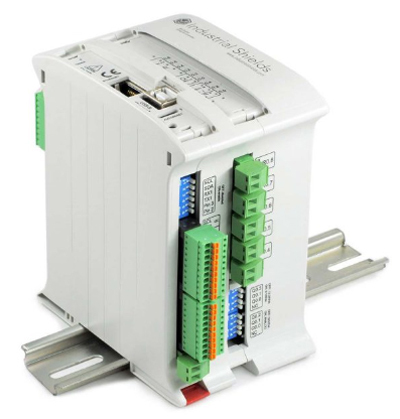 CONTROLLINO is an industry ready, freely programmable PLC. It is based on Arduino Open Source Software Technology. It can virtually serve any controlling, automation and data-logging purpose for you. 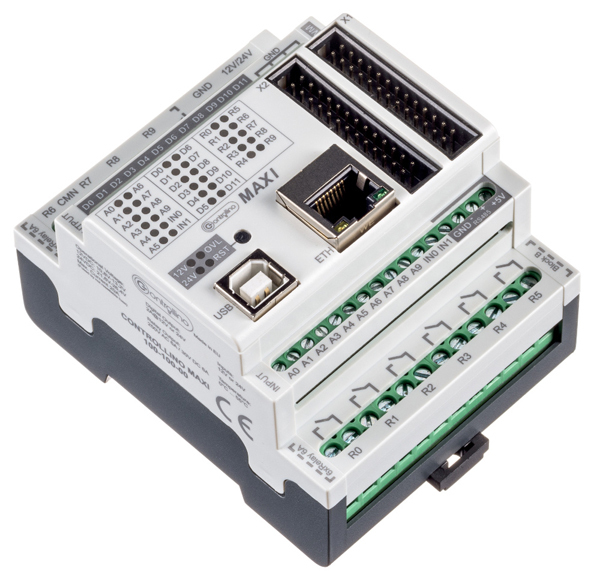 In recent years, CONTROLLINO became the preferred Arduino-PLC choice not just for Makers, but also for Professionals! Industrial Shields is a leading manufacturer of technologically advanced industrial controlling products based on Open Source technology. Industrial Shields offers a full family of products to use to satisfy all needs required on automation and machinery. With Open Source technology, using Industrial Shields, there is possible to get smart and flexible installations, Data adquisition can be sended to a data base, and analized to find an eficient system. It is not necessary to pay licenses and your efforts can be focused on the project. Those PLC’s can be expanded as your needs. You can send data to the cloud and connect the automation line to the Industrial Internet of things.